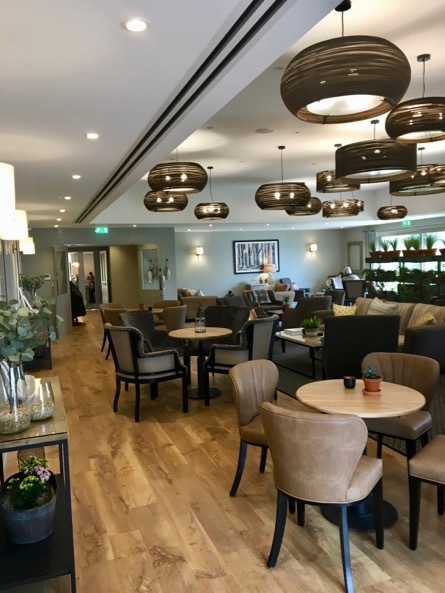 River Audio are proud to have been involved in the audio system up grade at both the FIsh Hotel and The Dormy House Hotel, both of which are part of the portfolio of boutique hotels based on the Farncombe estate near Broad way in Worcestershire. 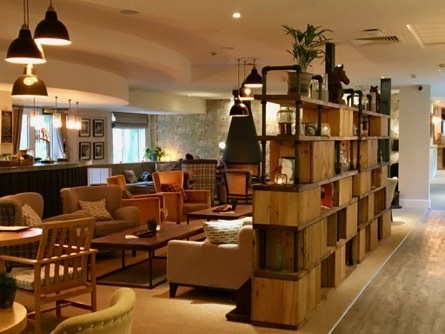 We were first approached by the management team to update the tired and faulty in-house system throughout the bar and reception area at the Fish hotel. The old system comprised of poor quality ceiling speakers located throughout the various rooms but there was no zoning option and so the volume and music sources had to be the same throughout. Also when they wanted to make adjustments they had to do this manually through the amp in the cupboard area where it was stored. They had tried using a Sonos style system but this caused issues when multiple users had access to the iPad control App as often settings were incorrectly altered and so they wanted a more robust and easy to use solution. 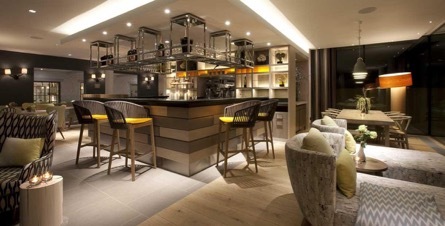 With this in mind we installed new full range, high quality Martin Audio ceiling speakers throughout the main bar, restaurant and foyer areas. These provided a far more detailed and clear sound and were powered by a multichannel amplifier which in turn was fed from the latest BSS Soundweb London Blu100 Audio Hub. This hub allows multiple audio feeds to be connected and numerous zones to be created and then accessed via a programmable remote wall panel. This allowed the staff to alter the volume and music in each zone without having to actually touch any of the equipment itself. 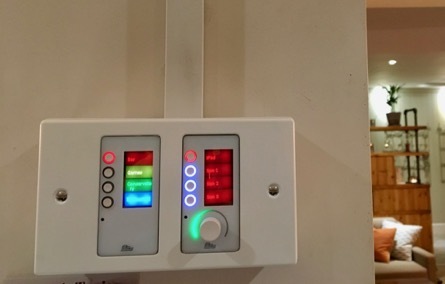 This control panel has each zone and music source programmed into it and is located near the bar area so that any member of staff can adjust the sound. As the hotel often have weddings and corporate events utilising their facilities they wanted to integrate a radio mic that could be used across any of the areas without cutting out. By Installing additional remote aerials near the centre of the hotel the radio mic works seamlessly throughout all the rooms and again is easily controlled via the wall panel. Due to the success of our installation at the Fish Hotel we then were asked to implement a similar system into the Dormy. Whilst the hotel had been recently refurbished along with the sound system as well, the staff were still battling control issues. As they had 8 Audio zones they wish to distribute sound to, we agin utilised the BSS Blu 100 hub which can do 8 zones as standard and 2 wall panels to give the staff reliable and easy control again. This has been a very satisfying project and it’s wonderful getting the positive feedback from the staff.